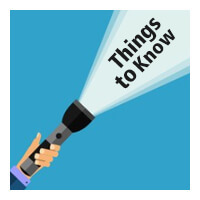 With the investor tech trend of 2015 picking up momentum for 2016 and consolidations in full swing, the big telecom news of Q4 2015 was the acquisition of Polycom by Mitel, which seemed like a done deal. Both companies have a demonstrated track record of growth and success in very similar fields: unified communications and telecommunications. On the surface the merger made plenty of sense. The deal didn’t happen and was called off, for better or worse. There are many valid reasons for what eventually happened. Polycom rejected the Mitel deal and instead took an offer from Siris Capital that allows Polycom to remain more independent. Part of the hope for this merger, from and end-user perspective, was that both companies could benefit from one another, particularly in the area of hosted / cloud phone systems. Mitel had already launched MiCloud, for example. It would have been interesting to see what the marriage of two high quality hardware manufacturers might look like in conjunction with growing consumer demand for cloud based phone system solutions. 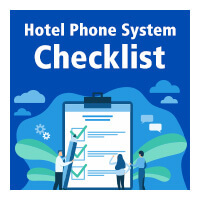 At Yeastar we are keenly aware of these market demands, and have positioned ourselves to be the flexible hardware based solution of choice for companies that are considering replacing their hosted or premise based solution with our new line of S-Series phone systems. Our full concentration is on the heart of IP communication solutions, the PBX itself, and all of the functionality, accessibility, and features that a modern 21st century phone system demands. To start with the obvious, folks without proper internet infrastructure (i.e. reliable business class up and down load speeds) can opt to outfit the Yeastar S-Series PBX, or MyPBX with an alternative to SIP Trunking by adding telephony modules to connect to FXO, BRI, GSM/CDMA/3G, and E1/T1/PRI. 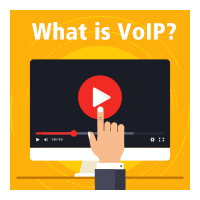 Both Yeastar dealers, and their customer’s can be confident that trouble shooting will not involve the expense and frustration of dealing with an ISP that doesn’t offer the right infrastructure to begin even entertaining the idea of customers using VoIP on their network. Research and Development into one specific area (phone systems and telephony gateways) gives our engineers and product designers many more cycles of development in which to create additional efficiencies, improve functionality of existing features, and continually provide updates with new features that dealers and customers of phone systems are demanding. Because of our focused concentration, our phone systems simply cost less. Less than almost any other comparable premise based PBX. Yeastar phone systems even cost less than hosted phone system companies that charge a per seat monthly subscription. This frees up cash flow for telephony vendors to work on other related IT projects and by allowing them to complete a phone system deployment on time and under budget. We carefully pick the relationships we have with existing manufacturers of telephony products, and methodically update our phone systems to work with almost every IP phone and endpoint manufacturer in the industry including Polycom or Mitel phones. We encourage and thoroughly test SIP trunking providers to join our interoperability program so that dealers and their customers have plenty of choice when it comes to a SIP trunking connection and a program for managing their SIP trunks. Our high standards and rigorous testing policies in one focused area fosters an environment where our technical support team can easily determine solutions to problems and spend the time providing in depth answers to our community of dealers without them needing to contact distribution or deal with a technical support staff that is overwhelmed. Our highly concentrated strategy, making the phone system as compatible and high functioning as possible for every environment, while maintaining ease of use for consumers and admins allows for the continued growth of our phone systems. Yeastar phone systems are purpose built for today’s cost conscious cloud based demands that are flexible enough to handle any hardware merger or consolidation in the unified communication space. The name on your phone might change in the future but you can always rely on your Yeastar PBX to power it.